Motorcycle racing has a low profile in the mainstream media, but in recent weeks it's been given a massive boost. For those of us who've followed road racing for a while Guy Martin's success on mainstream TV has been no surprise. Guy has a strong, interesting personality which shone through in the movie TT:3D. After that his increasing fame could only be reigned in by his reluctance to do too much telly, on top of all his other commitments. Happily, Guy seems to have found the time and made some great TV programmes. 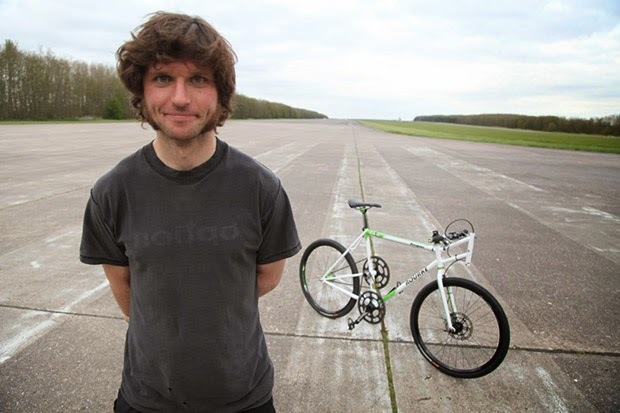 Speed with Guy Martin saw our erstwhile hero set various records, including a fantastic episode where he became the fastest rookie at Pikes Peak on his homebuilt motorcycle. You can watch some short films he recorded with C4 here. Guy has never managed to win a TT but Carl Fogarty has - King Carlos of Blackburn has won 3 TTs. And now he's on ITV every night for three weeks on I'm A Celebrity Get Me Out Of Here. Carl said he went on the show because he wanted a new challenge. Appearing alongside idiotic reality TV stars and a footballer who's scared of his own shadow Carl won the first challenge of the series with ease, spending 12 minutes in an underground box full of snakes. When the challenge finished he said, to himself, "Yes. Victory." To Foggy, who retired due to injury in 2000, a win is a win and he's won some races in his time. World Superbike titles in 1994, 1995, 1998 and 1999 and 59 wins from 219 starts is the headline but what shows the true mettle of the man is his three TT victories. In 1992 Steve Hislop and Foggy fought one of the best TT battles of all time, which you can see below. It's brilliant having road racing stars on mainstream TV. The sport attracts extreme personalities because you need to have a screw loose to take the risks required to win - unlike football - and it's good that some of them are getting the exposure they deserve. Finally, the news has just come in that Jack Cottle, the blithering idiot who drove his VW Polo on to the track at Brands Hatch during a race, has been jailed for 8 months. Great. He deserved it. Racers take enough risks, they don't need some half-wit moron adding to the danger on track, although Maldonado fills that role in F1.